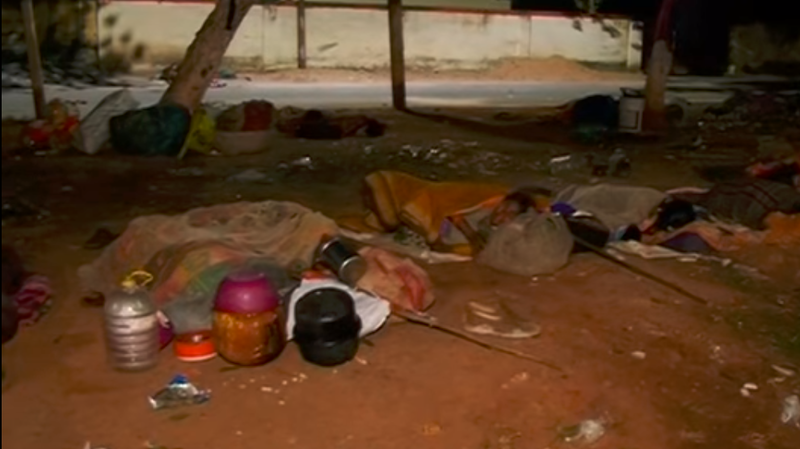 There are over 6,000 homeless people In Odisha's capital city. As the Odisha Vikas Conclave begins today, it is important to note that there is a need for the Smart Cities Mission to look towards democratising urban governance and enhancing the quality of urban lives of those in the informal economy. Various such descriptors are used when speaking about Bhubaneswar (some, as per the BMC website), the capital of Odisha. In 2018, Juniper Research, a UK-based market research agency, put Bhubaneswar among the top 20 best performing smart cities of the world – the only Indian city to make it to the list! The study focused on four broad areas such as mobility, health, safety and productivity. While we can take pride in the several distinctions bestowed on the city, we need to recognise that Bhubaneswar also has around 436 slums and makeshift settlements where thousands of informal sector workers including domestic workers, construction workers and vegetable vendors stay and serve the city and its residents and earn their livelihood. The city is also a witness to the pitiable conditions of the homeless who as ragpickers remove and recycle waste and as rickshaw-walas ferry residents. Amid the city’s “growing prosperity”, we have the appalling reality of homelessness and poverty and also the invisibility of these vulnerable sections of the city’s population. Census 2011 data say the population of homeless people in Bhubaneswar is 1,245. However, ‘CityMakers in Bhubaneswar: A Study on the living conditions of Homeless in Bhubaneswar City’, a recent study done by ActionAid India counted as many as 6,559 homeless people in the city, with their highest concentration being at places with the most number of opportunities for employment and shelter, including around temples, shopping complexes, railway stations, bus stands, cinema halls and hospitals. Perhaps, Census surveyors understated homeless populations simply because it is difficult to spot the homeless during daytime when most of the surveys take place. An under-assessment of homeless population leads to under-provisioning for their needs – there are just seven functional night shelters in Bhubaneswar with a capacity of less than 500 people. According to the ActionAid India study, construction work is the most common form of economic activity that the survey respondents are engaged in – 33%. Begging is the next most common, at 28%, followed by ragpicking, vending and hawking goods and domestic work. Among the survey respondents, nearly 60% work for more than 20 days per month and 35% work for 11 to 20 days. Besides, an individual’s daily income has been found to vary considerably according to the economic activities that he or she is engaged in. For example, while construction workers have an average daily income of Rs 271/day (Rs 61 above the daily average for the total population), beggars, by contrast, are only able to collect an average of Rs 105/day (only about half of the overall average). A strong correlation was also observed between gender and income, nearly 30% of women earn less than Rs 100/day, as opposed to 18% of their male counterparts. Only 35.08% of the people interviewed are able to save some money, while 64.34% are not able to save anything! Out of the 1,203 homeless people interviewed during the survey, 66% sleep on pavements in very unhygienic conditions and 33% in the verandahs of shops, temples and public places. Just 0.58% of the homeless surveyed said that they stay in the night shelters and 47% of them still resort to open defecation. 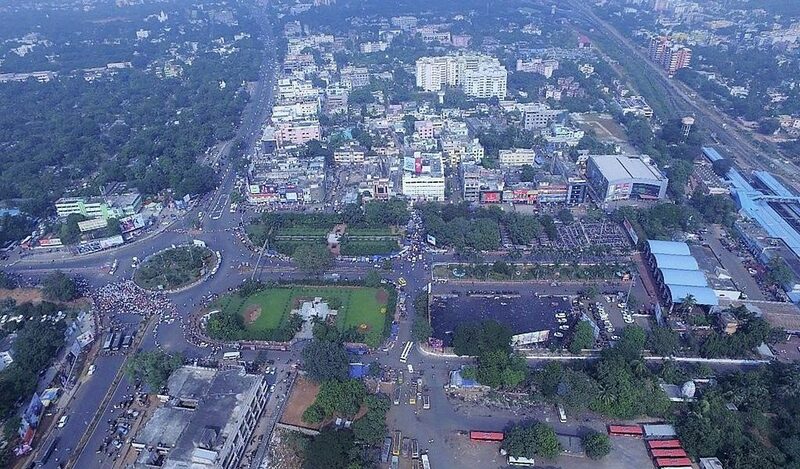 Bhubaneswar topped the 20 Smart Cities list released by the government in 2016. When the Smart City proposal was introduced, the city-dwellers, civil society organisations and activists were hopeful that there would be something new in the scheme for the urban poor. However, unfortunately, as the city becomes “smarter” and “prosperous”, the existence of these “invisible” sections of the urban population seems to have been largely overlooked by the city-planners. A lot has been invested in the Smart City Proposal for Bhubaneshwar under the Smart Cities Mission, but the participation of poor in the scheme is not to be seen. Firstly, the scheme has been implemented only in a select part of the city and secondly, the scheme development never involved or reached the poor. As per the ActionAid India survey findings, 87% of respondents said they do not know about any smart city proposal for Bhubaneswar. What’s more, 99% people of them said they were not consulted for any Smart City Proposal. The Smart Cities Mission is a flagship project of the Union government, which has the responsibility of ensuring socio-economic upliftment of all sections of the society by promoting business opportunities, ensuring the participation of citizens and improving e-governance for better service delivery, while at the same time adapting to the local vision and mission along with intense citizen engagement at multiple levels. The strategic components of the project include area-based development, including city retrofitting, city renewal and city extension, in addition to a pan-city initiative in which smart solutions are applied covering large parts of city. To develop the Smart City proposal therefore, it is imperative to engage citizens from all sections of the city to make the city all-inclusive and equitable. The Government of Odisha in fact also empowered the urban local bodies to undertake decentralised planning and monitor those by amending the required laws and creating enabling rules. But in reality, the citizen engagement was heavily dependent on websites, social media, SMS, online survey, cultural festivals and education institutions, the kind of mediums that mostly sideline the homeless and people living in the slums. There should be a primary school in every Ward. The government schools should provide quality education. Adequate numbers of teachers should be employed and the learning levels of students should be assessed on a regular basis too. Besides, separate toilet blocks for girls and boys should be in place in schools with running water facility. Shelter homes need to be constructed in every Ward and as per the Honourable Supreme Court’s orders on this – at least one permanent night shelter for a population of one lakh. Emphasis should be given towards forming Ward-level child protection committees under the Integrated Child Protection Schemes (ICPS). A Smart City should provide basic services such as healthcare, education, shelter, safe drinking water and access to proper sanitation to all children. They should also be protected from exploitation, violence and abuse. Besides, a Smart City should create spaces for children to play. Child healthcare units should be opened at the Ward-level too and health camps should be organised on Sundays at anganwadi centres/schools. Proper healthcare services need to be available at every health centre. In addition to having more beds for children, a paediatrician should be employed in every Ward. The government should ensure employment guarantee to all daily-wage earners in the city. They should be protected from the exploitation of labour contractors etc. Also, steps need to be taken to register all construction workers in the city and necessary entitlements should be provided to them, including appropriate work-site facilities, adequate health benefits and social security. For unskilled labourers, there should be more skill development programmes organised by the government and other agencies. The minimum wage should be Rs 500/day for eight hours of work. A Smart City needs smart city-planners to make the city all-inclusive and equitable and aligned with technological and infrastructural innovations. For the Bhubaneswar Smart project to be really successful, it is imperative to strengthen grassroots democracy by empowering people and their representatives, making the Ward Committees functional and strengthening the urban local bodies. It is high time it is that we made proactive efforts to listen to the voices and concerns of our city-makers living in slums, makeshift shelters and under the open skies and who comprise at least 40% of the city population. At the Odisha Vikash Conclave (starting on August 24) in Bhubaneswar, it is imperative that the voices of ordinary citizens, including the city’s most vulnerable residents, be heard. Debabrat Patra is Regional Manager, ActionAid India Odisha Regional Office. The views expressed are personal and do not necessarily reflect those of ActionAid India.